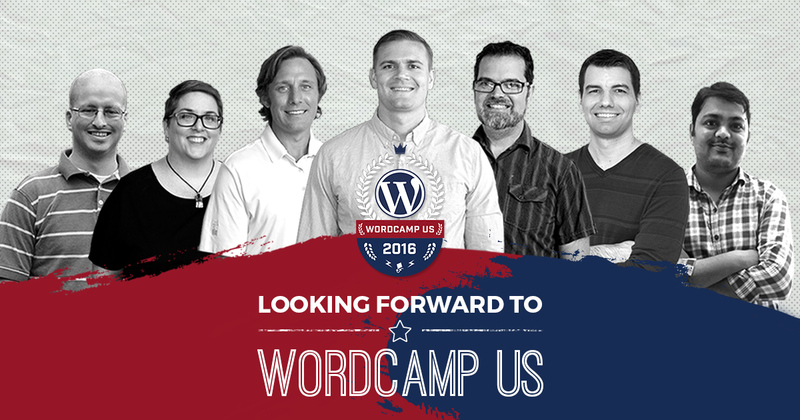 WordCamp US is the perfect event for our growing company to attend as a team-building exercise. We’re excited that all six of our full-time, US-based employees will attend. We cannot wait to meet our new customers, learn new things, and of course, take selfies. WordCamp US this year will be full of new connections and experiences. For starters, this is the first year that nearly our entire team will be going. I’m really looking forward to hanging out together and interacting with the community as a team throughout the Camp. I would be lying if I didn’t say I’m not also looking forward to partaking in the hallway track. Last year it was so impressive how the organizers set up the Camp layout to promote networking and discussion throughout the day. Don’t get me wrong, I’m also going to be hitting up many of the excellent sessions but I also want to meet and make new WordPress friends. If you see a tall guy with a Give t-shirt on during the day, that’s probably me. Feel free to say hi! Let’s chat. I loved WordCamp US last year. It’s a great venue and people are just genuinely excited to be there. I met a bunch of folks face-to-face for the first time and have kept in touch since then. Secondly, the presentations are really good. The speakers really take their presentations seriously and they have been heavily vetted. It makes a really big difference when presenters are excited about their talk and are well prepared and well-known for their speaking abilities. This year’s roster looks excellent; I’m looking forward to many of the talks. Lastly, and, perhaps my favorite aspect, is Contributor Day (Sunday). I wish more camps did that, but the big benefit of doing it at WordCamp US is that you have soooo many of the Core, Meta, Theme, Plugin, Design Team Leaders there and in the room helping and guiding everyone on how to contribute to the project. It’s a pretty awesome sight and I think the best way to start contributing to WordPress. Wow, already the end to a year that most of us will never forget! The Cubs won the Series! Holy Cow! This will be my sixth WordCamp of the year — and I’ve got to say — I’m so happy to have attended five other Camps because I will be able to reunite with the organizers, volunteers, clients, and new friends that I met along the way this year. I’ve always felt like a participating builder of a new economy whenever thinking about our WordPress ecosystem and that gets me excited. And to be welcomed with such little “WordPress experience” makes is that much more special. WordPress is leading so much positive change in the way society comes to terms with work/life balance, ownership, and accountability. And this Camp will be even more special because most of the WordImpress team will be there! How Pippin is doing with his subscription switchover and if he still is confident in the 85% renewal rate moving into 2017. What Andrea did in Columbia with the first WordCamp in Medellin and how she is going to continue growing small Camps and amping up Meetups across the country. How Thomas’ learning management system, Lifter LMS, is driving Average Job Size and Customer Loyalty related to pricing and discounting. What is CarlBoard’s favorite drink? And hopefully, what are Matt’s plans to continue defending the GPL, ensuring that all businesses who work in the WP ecosystem can remain confident in value creation and community collaboration under the GPL. When I started as Marketing Manager of WordImpress on December 1, 2015, my first task was watching and tweeting the livestream of WordCamp US. That was so exciting for me — even by following the hashtag, I met amazing people. As this year has progressed, attending four WordCamps to date, participating in the community at meetups, and co-hosting WPblab, I’m looking forward to shaking hands with these great people. I may even add to my Guru Selfies collection. Though I still consider myself a beginner with WordPress, with every WordCamp I attend, more puzzle pieces have meaning and take shape. That said, my favorite part of any WordCamp is the serendipitous moments of connection — the paradox of humanity amid technology — the community. WordCamp US will be my second WordCamp following the inaugural Pittsburgh event earlier this year. WCPGH was my first experience as an attendee, volunteer, and speaker all in one day. I wouldn’t change anything about it, but I’m definitely looking forward to soaking in WCUS with less stress and an open mind. It will also be great to reconnect with the friends that made my first WordCamp such a memorable experience. On a personal note, WCUS marks my return to Philadelphia, where I spent four years of my life while attending Drexel University. It’s been almost six years since my last visit, so I’m expecting a nostalgia overload when I step foot back into the city where I spent such a defining part of my life. Finally, I can’t wait to attend WCUS alongside the WordImpress team. I had a blast with Devin and Jason in Pittsburgh, and I can’t wait to meet the rest of the crew in person! As my first non-local WordCamp, I am really looking forward to seeing the wide world outside of Raleigh, NC (when it comes to WordCamps) to get some ideas of the things we can bring back here for next year’s WordCamp Raleigh. As a support technician, I am looking forward to meeting other folks who support WordPress products and hearing from them. There’s nothing like talking to someone who can totally empathize with your job responsibilities, both the fun and energizing, as well as the frustrating or draining parts. The beauty of the WordPress community is that there are so many others either exactly or close to where I am! Also, I am very much looking forward to meeting my team members in person for the first time. I’m taller than I look on camera, but just as bald. WordCamp US is exciting for me despite me not being able to attend. The long list of reputable speakers and great topics is exciting. Speakers like Pippin and Nacin are my idols and I want to meet them personally there next year. Every WordCamp gives you an opportunity to meet and learn from other WordPress folks from different fields who have the same passion. This year I’ll be attending over the “Live Feed,” but next year… I’ll see you there! Cool, I remember last year and connecting with some of your team… looking forward to doing it again this year. Good times and for me, this is it. It’s all about the people. See you soon! It was fun to speak with you last year, Bob! We’re all looking forward to it again this year. The feeling is mutual! Can’t wait! Great post! I am excited to go in person this year! Last year I attended via live stream and it was fun to follow along via stream and social media. I am looking forward to meeting everyone in person that I have made friends with over the past year! Especially Bridget!